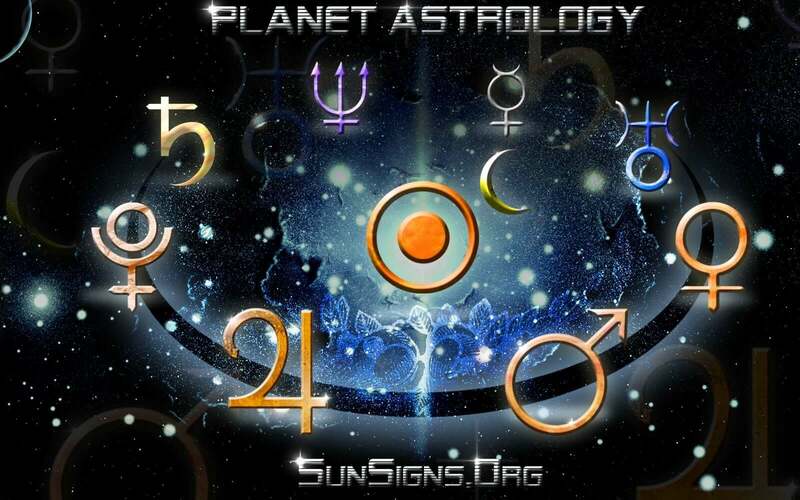 The different planets and the sun and moon are very important in astrology. The sun and the moon are both luminaries. Their personalities will show what the people they rule over are like. Zodiac signs and their ruling planets shape the personality of people. The different celestial bodies will have very different traits. The planet Mercury will symbolize being practical, having common sense, and being rational. Mercury is important in language, in both speaking and writing. Mercury puts things in order, analyzes and evaluates, and controls learning and skills. Mercury rules over the zodiac signs Gemini and Virgo. It takes Mercury 88 days to orbit the zodiac. The planet Venus is concerned with beauty. Venus will know how to enjoy things and will be very aware of the beauty of the things that surround them. The planet loves balance and being social. Venus is happy with relationships and being physical. Venus rules over the zodiac signs Libra and Taurus. It takes Venus 225 days to orbit the zodiac. The planet Mars will symbolize energy and determination of the people. Mars will make people brave and motivated. Mars will make people free to be spontaneous and impulsive. The planet will be ready for action. Mars controls how people do things and being aggressive in nature. Mars rules over the zodiac sign of Aries. It takes Mars almost two years to orbit the zodiac. The planet Jupiter will be concerned with people looking for their own meaning and purpose. Jupiter will symbolize having hope and being positive. The planet will represent looking for justice. Jupiter will symbolize philosophy and faith. The planet represents spiritual development and expansion. Jupiter rules over the zodiac sign Sagittarius. It takes Jupiter 12 years to orbit the zodiac. The planet Saturn represents how people experience what is real. Saturn will show people what their limits are. It will symbolize the conscience and moral values that people have. Saturn controls the laws and rules that people will choose to obey. It will show people what they can handle. Saturn will control people being able to focus. The planet gives people traits like determination, being careful, and not being open. Saturn rules over the zodiac sign Capricorn. It takes Saturn 28 to 30 years to orbit the zodiac. The planet Uranus symbolizes instinct. Uranus gives people insight and inspiration. The planet is open for experiences that are strange, new, and unknown. The planet can be stubborn about the wrong things. Uranus rules over the zodiac sign Aquarius. It takes 84 years for Uranus to orbit the zodiac. The planet Neptune will focus on the senses. Neptune will let people experience the mysterious. The planet shows people the transcendental. Neptune will make it hard to see when being perceptive changes to being deceptive. The planet represents illusion and things that look different than what they are. Neptune can push people to drugs and alcohol. The planet symbolizes a fake reality. Neptune rules over the zodiac sign Pisces. It takes 165 years for Neptune to orbit the zodiac. The planet Pluto is concerned with power. Pluto represents how people will handle power, whether it is their own or not. The planet symbolizes how people will see the strange and mysterious. The planet is about regeneration and rebirth. Pluto rules over the zodiac sign Scorpio. It takes Pluto 248 years to orbit the zodiac. The sun is a luminary. The sun will represent the inner self of a person. It will symbolize being active and assertive. The sun rules over the zodiac sign Leo. It takes the sun one year to orbit the zodiac. The moon will symbolize emotion and feeling. It represents being receptive and having imagination as a person. The moon will affect timing and rhythm. It will control how people are flexible with change. The moon rules over the zodiac sign Cancer. It takes the moon 28 days to orbit the zodiac.